The WSG 01 goniometer is designed for specimen orientation when cutting along desired direction is required. 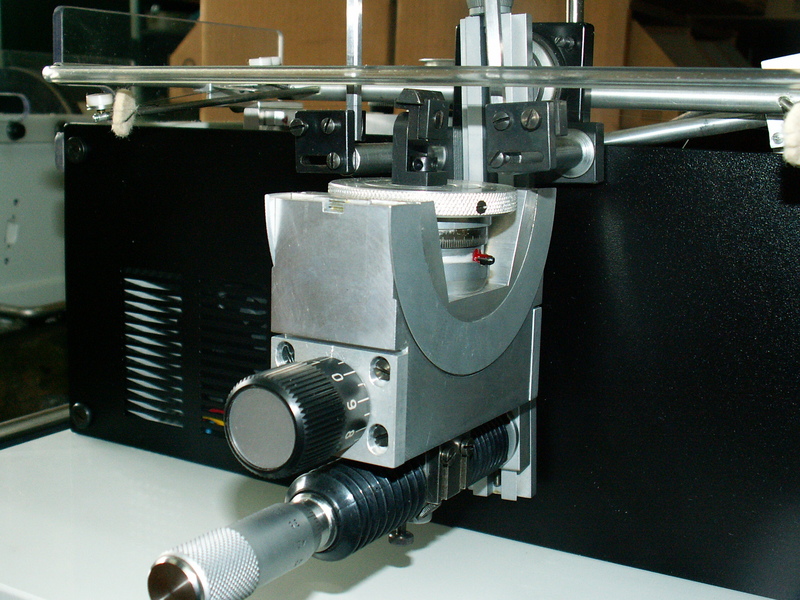 The WSG 01 goniometer is used to hold samples in the process of orientation using scale or different methods such as Laue photo, laser beam reflection, optical method and than cutting on high precision saws. 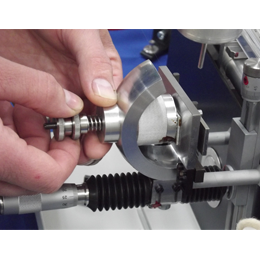 A sample can be rotated 360° in one axis with 0.1° vernier and 120° in second axis with 0.1° vernier. 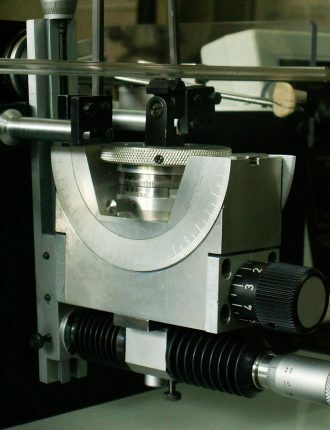 The goniometer can be fixed to the WS 22, WS22B or WS 26 wire saw. 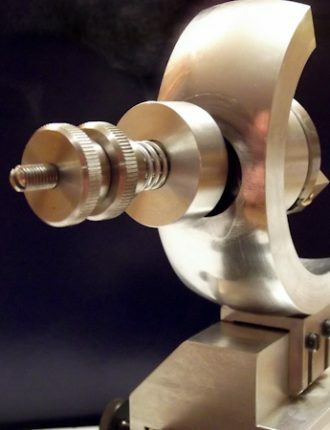 The WSG 01 goniometer is constructed of stainless steel. The scales are deeply engraved and filled with a black ink. The specimen is cemented to a mounting table which is the central element of the goniometer. There are precision rises available to center the specimen in goniometer arcle. 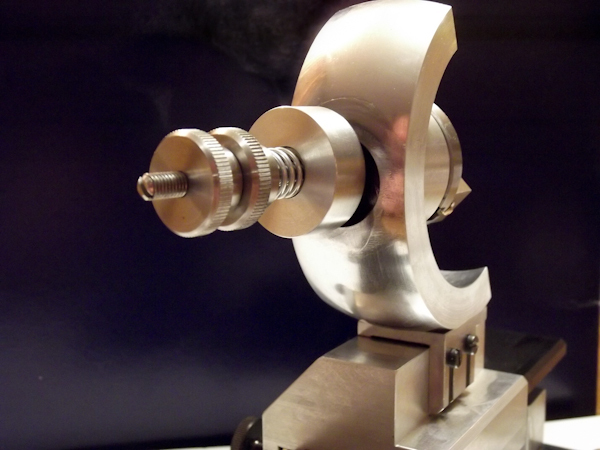 The table can be moved up to 10 mm on either side of center to realign crystal with the goniometer axle. 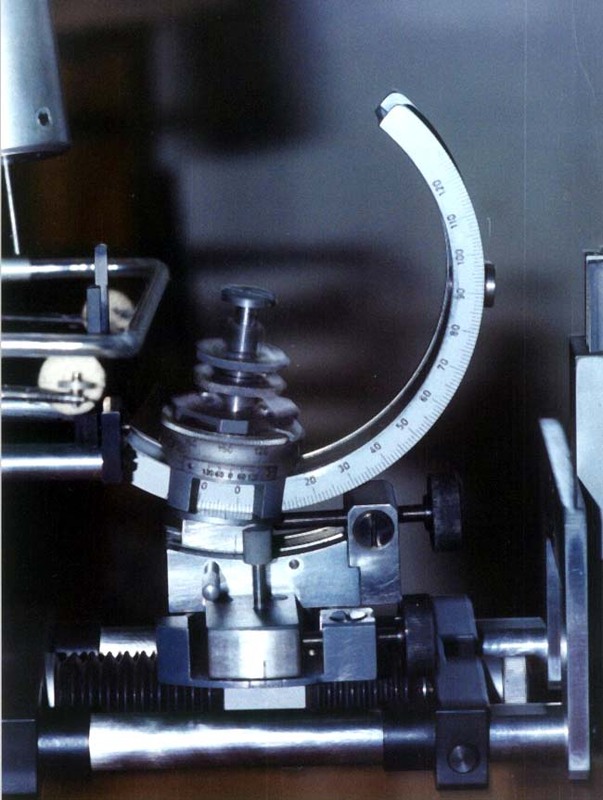 The WSG-02 goniometer is used to orient specimens when cutting is required along desired direction after orientation using either X-ray or optical orientation techniques. wire saws for subsequent processing. 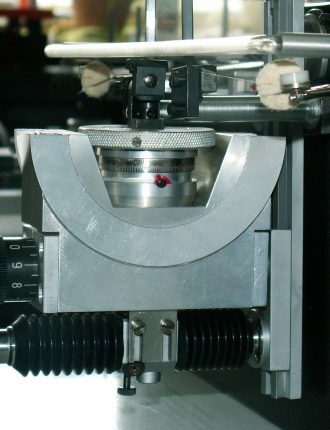 either side of center in order to realign the sample with axle of goniometer. 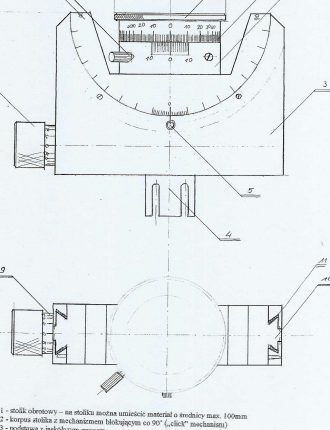 The WSG-03 goniometer is used to orient specimens when cutting is required along desired direction after orientation using either X-ray or optical orientation techniques. 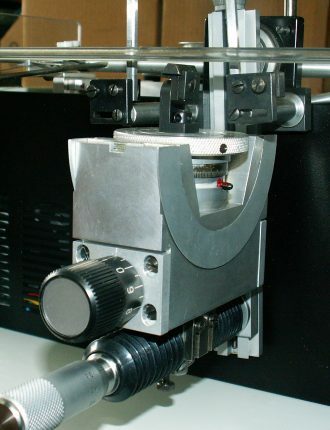 The WSG 03 goniometer is used to hold samples in the process of orientation using scale or other different such as Laue photo, laser beam reflection, optical method and than cutting on Unipress high precision saws. 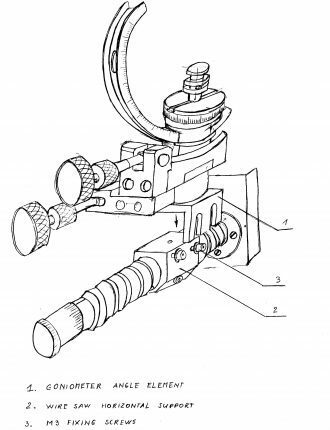 A sample can be rotated 360° in one axis with 0.1° vernier and 160° in second axis with 0.1° vernier. 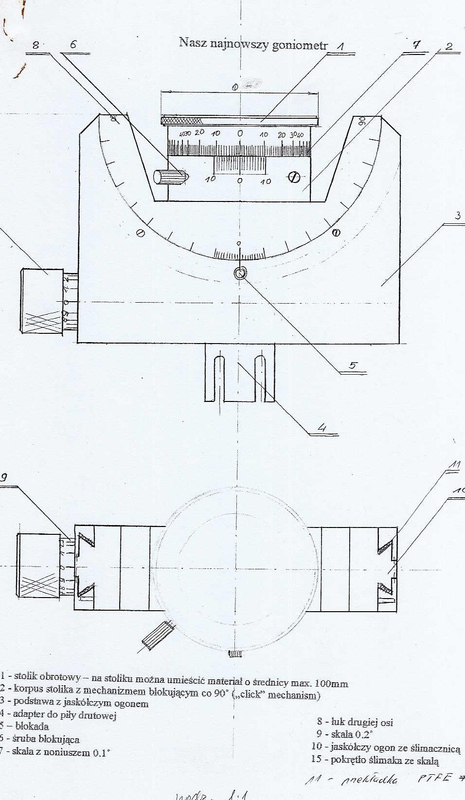 Movement around horizontal axes is provided by scaled hand wheel enabling fine adjustment. 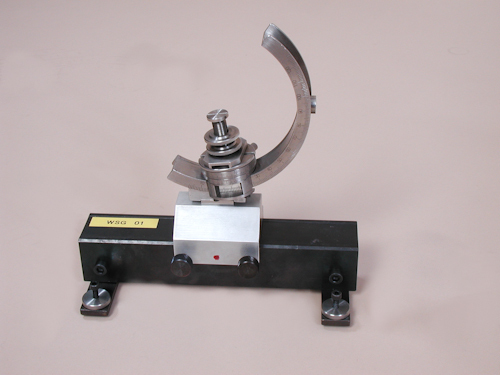 The goniometer can be fixed to the WS 22, WS22B or WS 22C wire saw. The WSG 03 goniometer is constructed of stainless steel and hard anodized aluminum. The scales are deeply engraved and filled with a black ink. 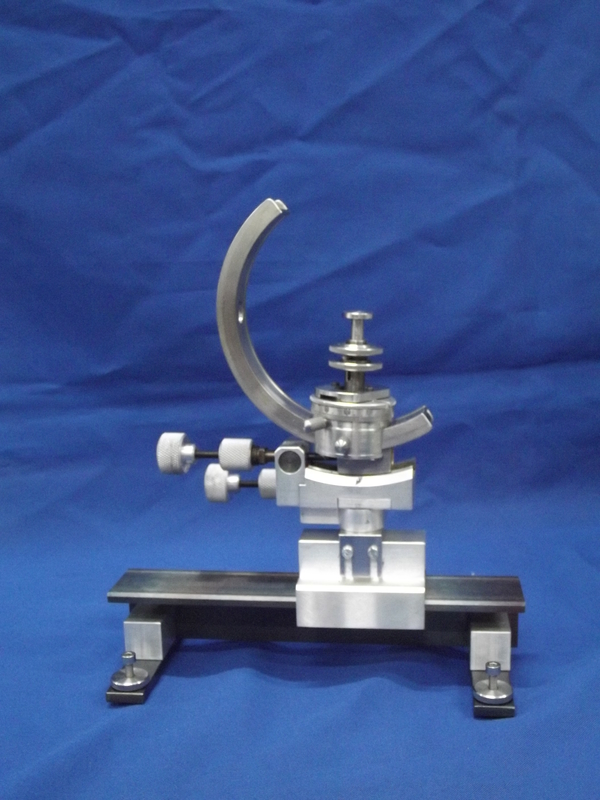 The specimen is cemented to a mounting table which is the central element of the goniometer. 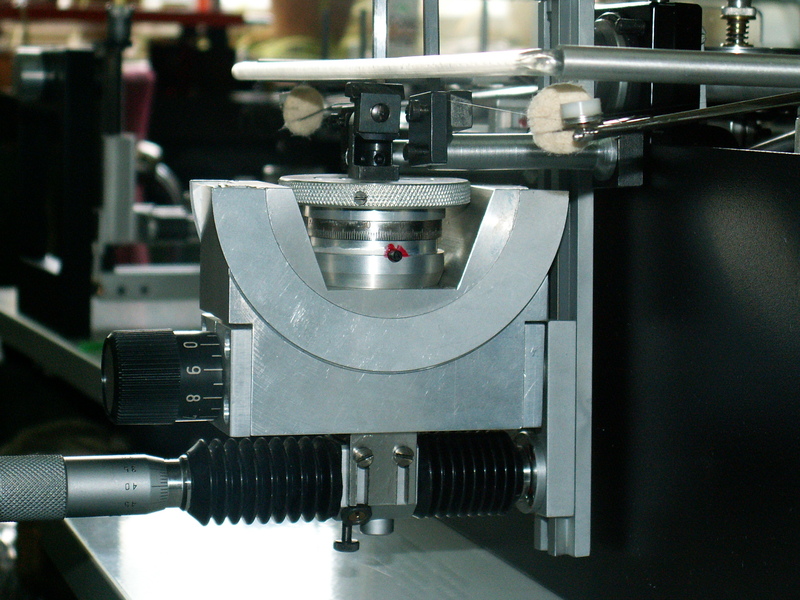 There is a possibility to mount typical sample holder from WS 22/22B standard accessories. 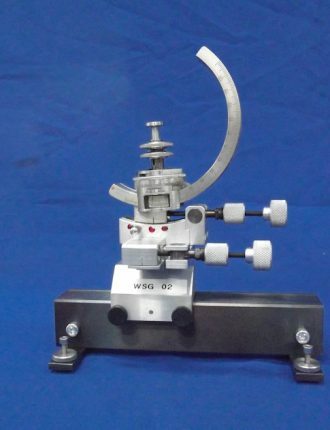 The WSG 04 goniometer is of the same parameters as WSG 02 but the center of goniometer axle is 15 mm lower. It is placed 98 mm over the track instead of 113 mm in WSG02. The mounting profile is wider for wide optical tracks as in some types of X-ray diffractometers. 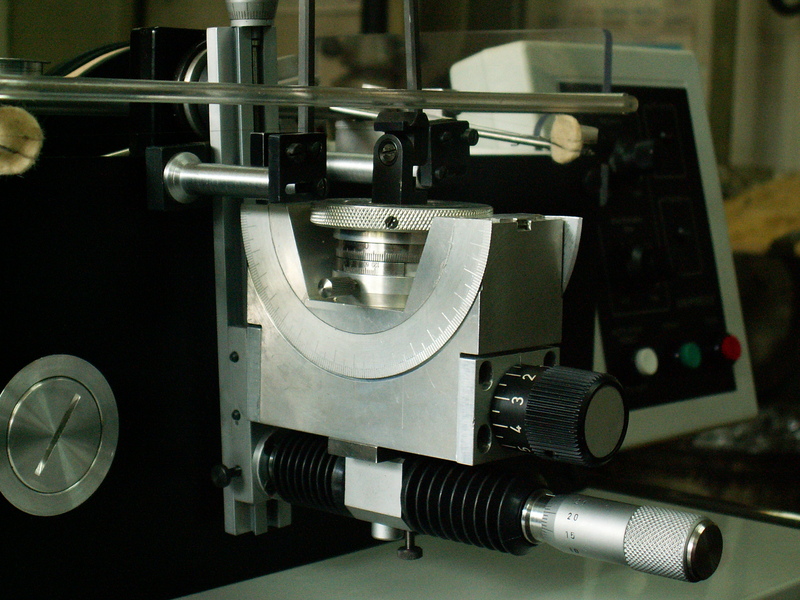 The WSG-05 goniometer is used when cutting parallel to specimens face is required. can be fixed to the WS-22, WS-22B or WS-26 wire saw. The WSG-05 goniometer is constructed of stainless steel and hard anodized aluminum.